08 Dec 2018 / 09:40 H.
SHAH ALAM: The National Higher Education Fund Corporation (PTPN) issue can cause Pakatan Harapan (PH) to be dragged out of governing the country. Youth and Sports Minister Syed Saddiq Syed Abdul Rahman (pix) said that was why the issue must be properly discussed by all parties as it affected the cost of living which is often a major concern of the younger generation now. “If I cannot be the voice of the youth on this, it means I have failed. That is why, when we talk about the PTPTN, I have to defend (the interests of the younger generation) and bring it to the Cabinet to find a comprehensive solution. “That is why, we (Youth and Sports Ministry) as the platform that is closest to the youths, have to be involved and be a prime mover in helping this group in issues relating to the cost of living,“ he said in the ‘Bicara Minda’ organised by the newspaper Sinar Harian yesterday. Syed Saddiq was commenting on the PTPTN issue and the demands and priorities of the younger generation today which was raised by the programme moderator Tan Sri Johan Jaafar. Speaking to the media after the programme, Syed Saddiq said PTPTN must ensure that the new repayment scheme for its borrowers is fair. At the same time, he said, borrowers who were currently paying for their loans according to the schedule set by PTPTN must also be taken into consideration as they had signed the repayment contract before the new schedule was released. “We cannot treat everyone the same. If before this, the borrowers paid RM100 to RM200 each month but when it suddenly goes up from RM600 to RM700, which is too much a burden as they have other responsibilities even though they earn RM4,000 and above,“ he said. 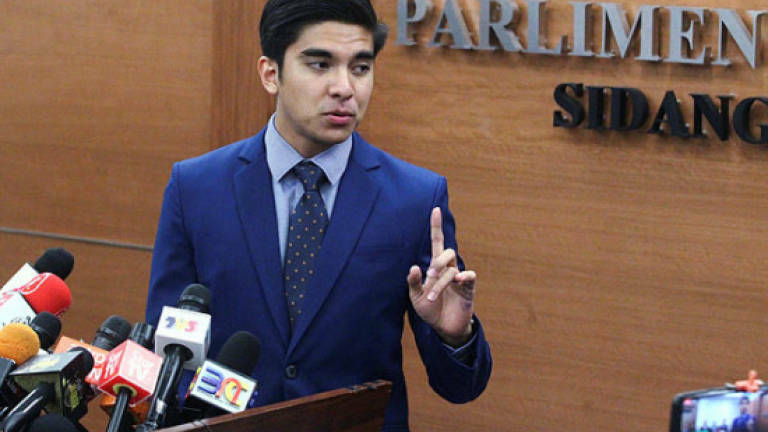 Syed Saddiq also said the Youth and Sports Ministry together with the Education Ministry and PTPTN will meet with as many youths as possible to find the best formula to resolve the issue. Education Minister Dr Maszlee Malek yesterday announced the Cabinet wants the PTPTN to postpone the Scheduled Salary Deductions (PGB) for all borrowers after the announcement on Wednesday that the PGB would be applied on every borrower earning at least RM2,000 a month.